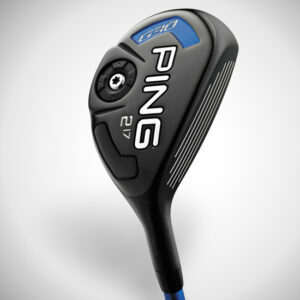 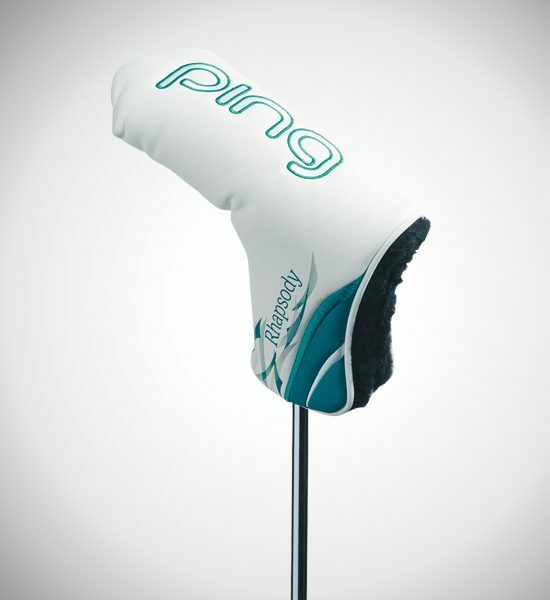 Highly forgiving and accurate, three of PING’s most enduring and successful models will give women confidence and consistency on the greens. 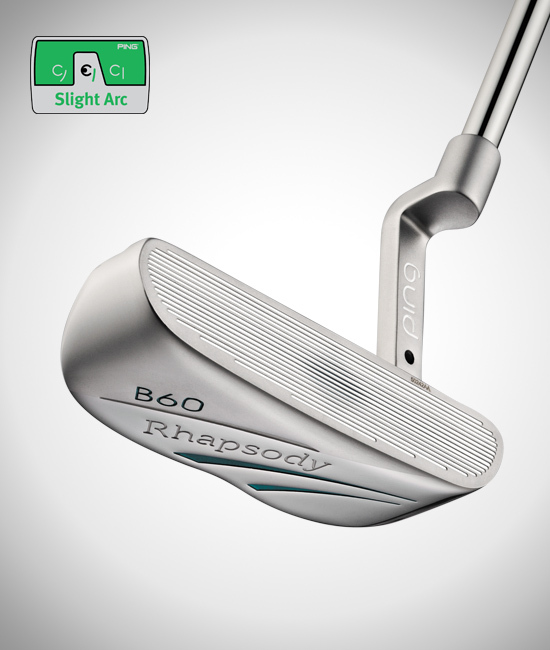 High-MOI next-generation True-Roll Technology grooves vary in depth and width to normalize ball speeds across the face for unmatched distance control and accuracy from any distance. 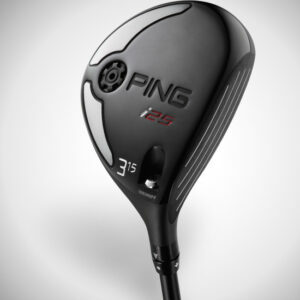 Every stroke type is represented, and an optional adjustable-length shaft has a range of 31″ to 38″. 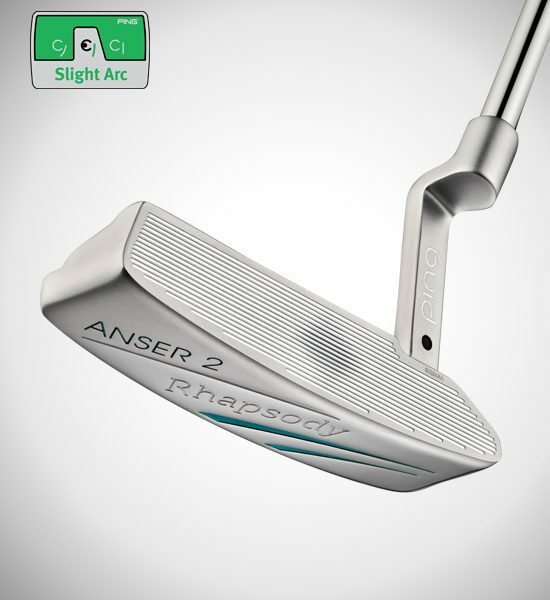 This rubber grip in the Rhapsody family’s distinctive Tropic Teal is designed to keep the wrists firm and ensure a stable stroke for improved accuracy and consistency. Rhapsody’s three putter models each feature highly forgiving next-generation True-Roll Technology grooves. 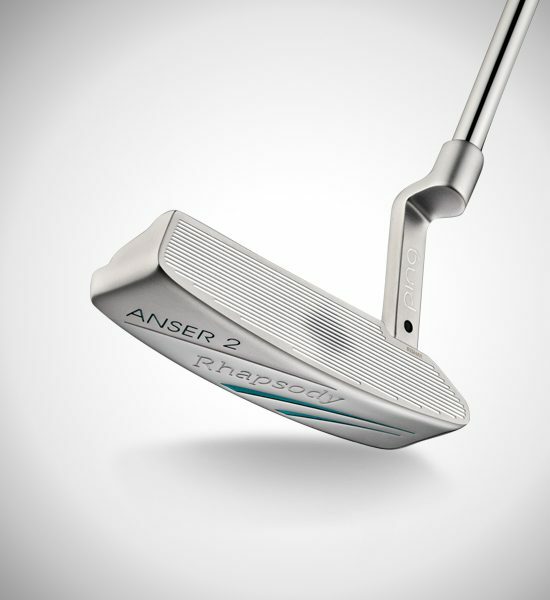 They vary in depth and width from the center of the face to normalize ball speeds across the face for unprecedented distance control and accuracy. 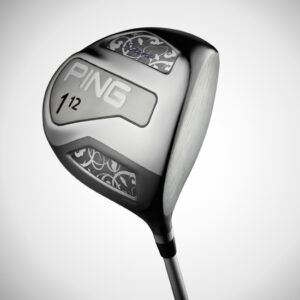 Every stroke type can be accommodated. The Anser 2 and B60 fit a Slight Arc stroke; the Craz-E can fit any stroke type: Straight, Slight Arc or Strong Arc. 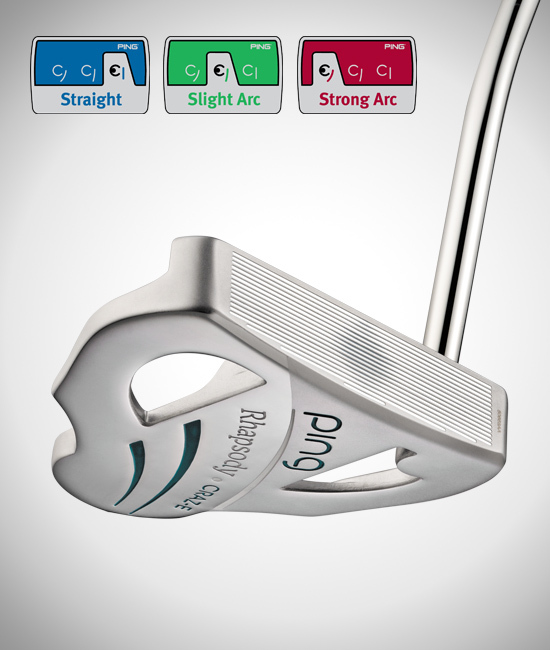 Results from hundreds of player and robot tests at PING show that you’ll putt more consistently if your putter balance matches your stroke type. 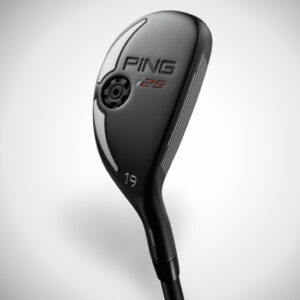 An optional adjustable shaft has a range of 31″ to 38″. 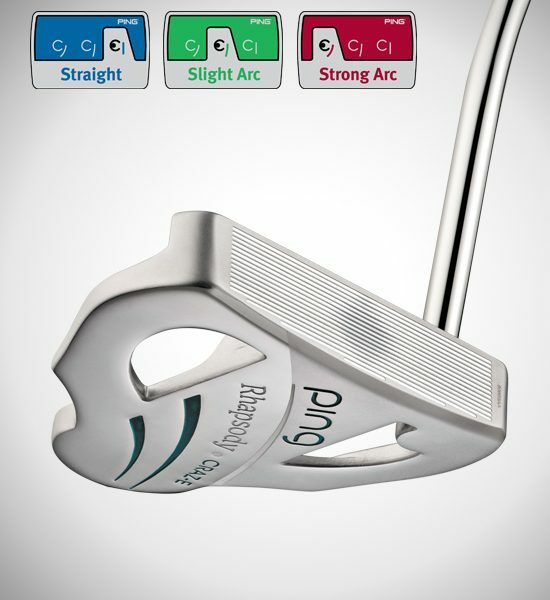 PING research shows that putters correctly fit using adjustable-length shafts produce significant improvement in consistency, the #1 key to holing putts. 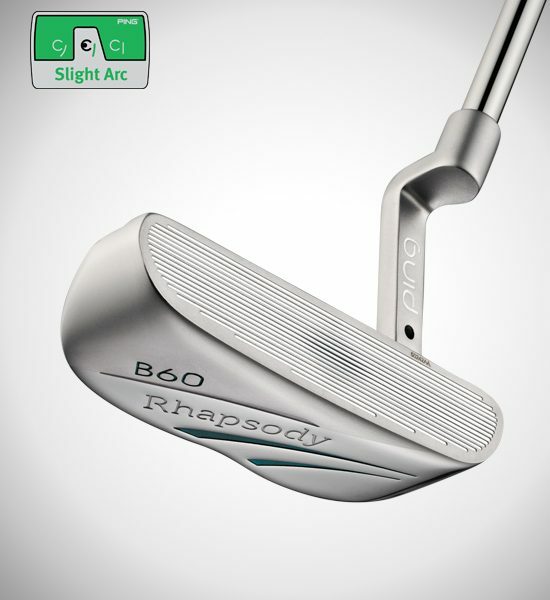 The PP58 Midsize Tropic Teal grip complements the Rhapsody family of clubs.